As usual I'm one of the last. The pigeons are flying around the towers and it's hard to leave. It's a strange otherworldly place. I stop for a croissant in the bar in the square and then I'm on my way. I'm expecting a flat walk but it's still quite hilly with tracks through mixed woodland. It's very quiet and I hardly see another pilgrim. At 11am its starting to get hot and I stop in a bar for a cold shandy and the London couple turn up. Good to see them again but they're aiming to get to Santiago for Sunday. I've decided to have a short day as there's a very nice municipal albergue in Boimorto and I can then reach Arzua in good time tomorrow, as it will get busy from now on. At Arzua I'll be hitting the Camino Frances tomorrow and the thousands of pilgrims on it. I'm not looking forward to the crowds. I get to the albergue at 1pm and ring for the hospitalero. He arrives, gives me my paper sheets and leaves. This is a DIY affair, but it's very spacious and clean. I have a whole airy room to myself. The albergue is rather in the middle of nowhere set back from a main road. It's surrounded by reedbeds and a fishing pond. I have lunch in a local bar; a very nice smoked salmon salad. 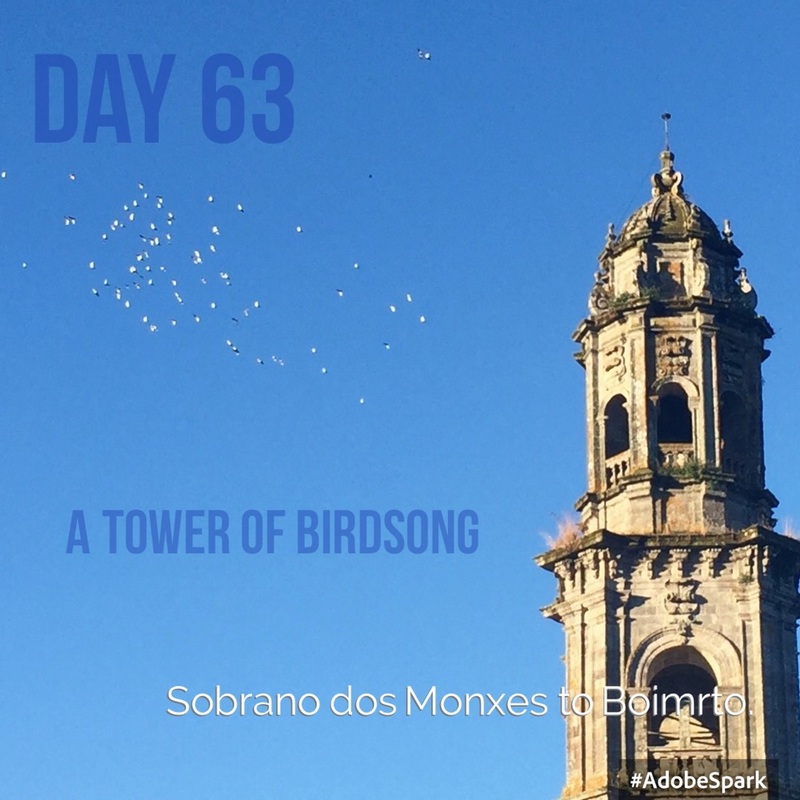 Then I catch up with the blog and do washing- all the usual Camino things. Several sets of French people turn up during the afternoon but it's hardly full. A few cyclists too. I'm finding I'm eating two big meals day! Or double meals- one after another! So I go to the supermarket for tomorrow's breakfast and then back to the restaurant for fresh tuna salad, half a bottle of white wine and an orange. In bed by ten- I'm aiming to leave early before the heat kicks in. 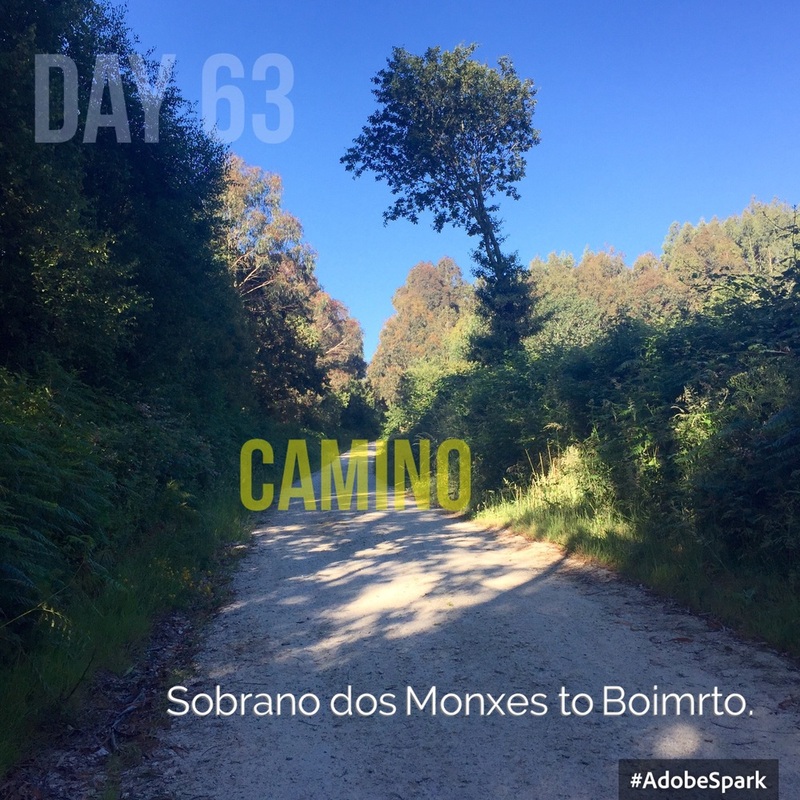 Tomorrow is my last day on the Camino Norte. I shall be sorry to leave it; a majestic and challenging route. It's given me a wonderful adventure and beautiful encounters.